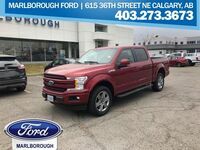 If you live near Airdrie or elsewhere in the Calgary-area and are on the hunt for a highly-capable full-size pickup truck, then look no further than the 2018 Ford F-150 at Marlborough Ford. 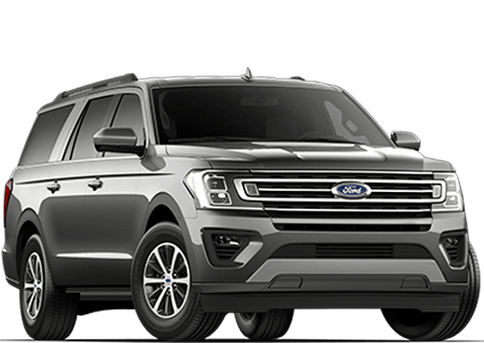 The legendary F-150 gets even better for the 2018 model-year, with bold new front and rear styling, state-of-the-art technologies and improved engines, including the introduction of an all-new Power Stroke V6 turbo diesel engine. 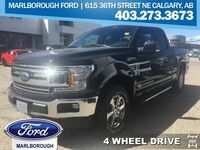 Would you like to get behind the wheel of the 2018 F-150? 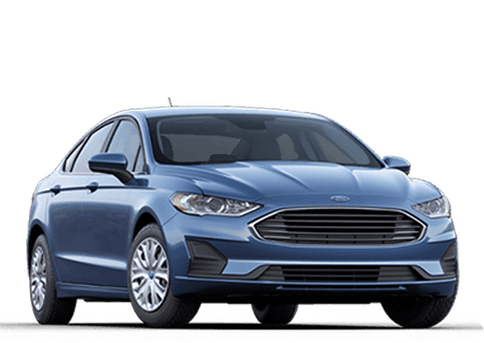 Contact us at Marlborough Ford today! 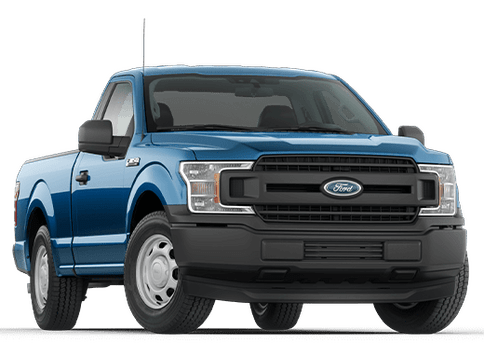 The redesigned F-150 further enhances its "Built Ford Tough" reputation with a blend of advanced materials that are not only sturdy and durable, but also inhibit corrosion. 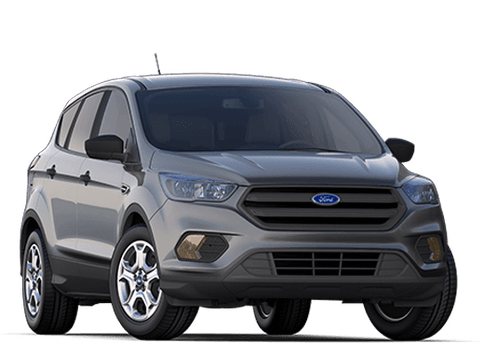 This includes a high-strength steel fully boxed ladder frame and a military-grade aluminum alloy body. 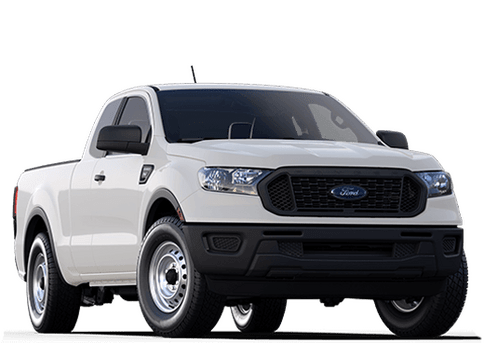 The new F-150 also boasts a tougher look, with bold new grilles, headlamps and bumpers that create a visually wider and more planted stance. 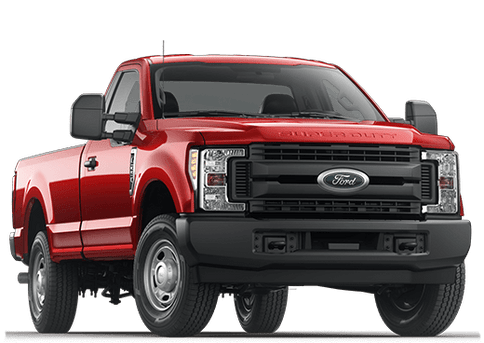 A new sculpted tailgate with deeper accents and stamped “F-150” is flanked by new tail lamp designs, while the F-150 features six all-new wheel designs, ranging from 17 inches to 22 inches in diameter. 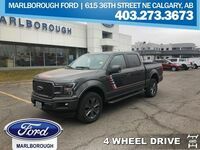 With its powerful engine options, the 2018 F-150 has the muscle to get you where you need to go and get the job done. This includes an all-new, standard 3.3-liter V6 engine, with direct-injection for increased efficiency, producing an output of 282 horsepower and 253 lb-ft of torque. 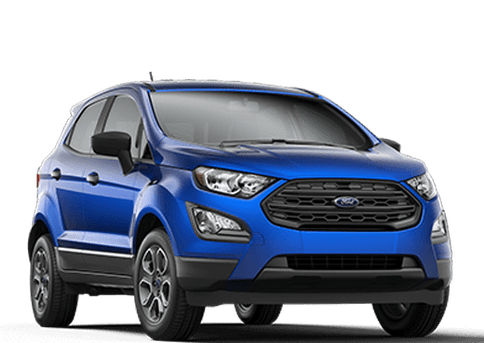 An all-new second-generation 2.7-liter EcoBoost engine features advanced dual port and direct injection technology, reduced internal friction and improved robustness — all for improved levels of output, efficiency, quality and durability. 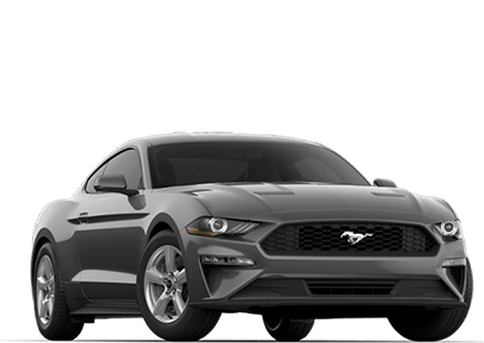 The 5.0-liter V8 also sees improvements for 2018, as the naturally aspirated engine features significant upgrades for increased power and torque. 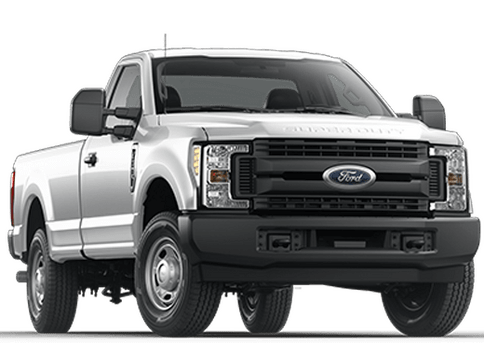 Also, the 2018 F-150 adds an available all-new 3.0-liter Power Stroke V6 diesel engine. It’s the first-ever diesel engine offered for the F-150. 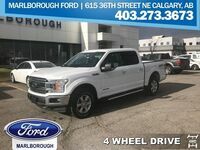 The new F-150 offers a wide array of advanced technologies. 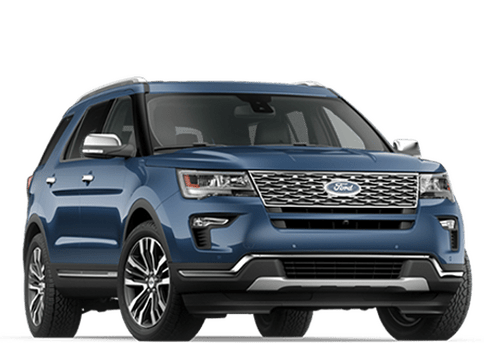 The available adaptive cruise control with stop-and-go functionality allows drivers to set a cruising speed — even following a vehicle down to a complete stop, while the available Pre-Collision Assist with Pedestrian Detection helps the driver to avoid or mitigate collisions with vehicles and pedestrians. On the connectivity and multimedia front, a new available embedded 4G LTE modem for a Wi-Fi hotspot enables you to connect up to 10 mobile devices at one time. 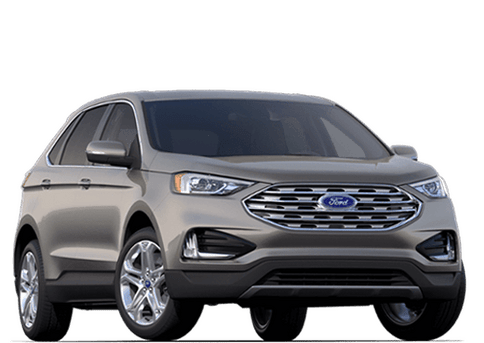 Also, the available SYNC and SYNC 3 with FordPass enables compatibility for Apple CarPlay and Android Auto, while the available B&O PLAY audio system features high-end speakers for an incredible listening experience. 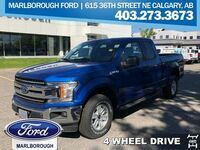 Contact us at Marlborough Ford to find out more information about the highly-capable 2018 Ford F-150!